New York Times calls this a perfect book. A little girl describes birds. Vibrant and lively drawings. Saturday, June 9th, 9 – 11:00 a.m. This event is for you! Even if you can’t name a lot of birds yet, give it a try! The basics of birdwatching, such as how to become a better observer and selection of equipment, will be covered. 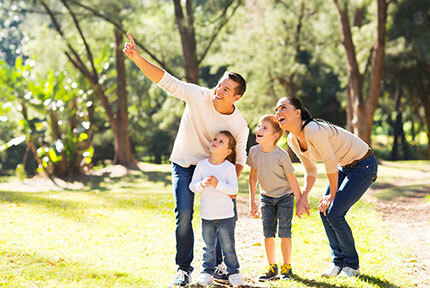 Meet at the shelter in the Newell area of the Oakdale Nature Preserve. Dress for the weather and bring binoculars if you have them. Audubon has a few binoculars for those who don’t have them. If you have any questions about the event, call Richard Benning at 815-865-5279. It’s Almost That Time Again!!! 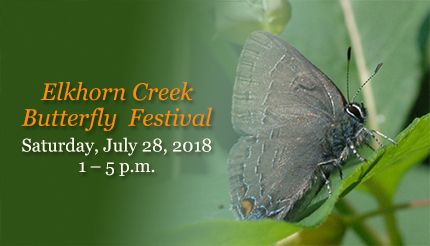 Join Us for the Annual Elkhorn Creek Butterfly Festival! Saturday, July 28th, 1 – 5:00 p.m.
Join us for a fun, informative, family-friendly afternoon as we explore the Elkhorn Creek Biodiversity Preserve for the many butterflies that are found there. From 1 - 5:00 p.m., participants may join guided butterfly tours or look on their own for those winged beauties. Tours will begin at 1:00, 2:00, 3:00 and 4:00 p.m. “Illinois Butterflies and Moths” pocket guides will be distributed at no charge while supplies last. We’ll have ample shady spots for a rest area with chairs as well as a restroom, cold beverages, snacks and information about pollinators. Explorers at previous Butterfly Festivals have found 31 species of butterflies and skippers, among them Buckeye, Red-spotted Purple, Painted Lady, giant Swallowtail, Great Spangled Fritillary, Silver-spotted Skipper and Monarch. The preserve is located about 3 miles southwest of Forreston in the southeast corner of West Grove and Freeport Rds. The parking lot is off of West Grove Rd. This event is free and open to the public. We hope to see you there! If weather is questionable, call Mary Blackmore at 815-938-3204 before 10 a.m. on July 28th. 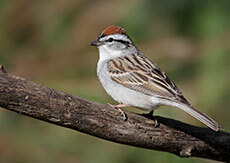 Chipping sparrow is a species of American Sparrows. 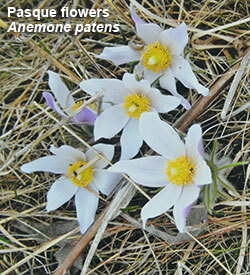 It is known in most parts of the world but is found commonly in North America. This is a medium-sized sparrow with a back that is dark brown in color with black color streaking and the underparts are normally light or pastel gray in color. They have a reddish brown “cap” on their head, while the face looks striped with white and black color. The neck is white. Their beak is black in winter but more pink in summer, eyes are a dusky brown, and legs and feet are pink-orange in color. Listen for the “chip-chip” sound they make just like their name says! What do they like to eat? They like a variety of foods: seeds, fruits, insects and also a small quantity of sand and stones. You often find these birds at your own feeders. The female builds the nest without the help of the male and often you can see right through it. During the summer, the chipping sparrow has a distinctive white eyebrow and black eyeliner, but in the winter the color tends to fade a bit and their beak looks black instead of the summer pink beak. They usually lay three to four eggs in the nest. The base color of the egg is bluish green with freckles and a small number of squiggles of dark brown, purple and black colors. 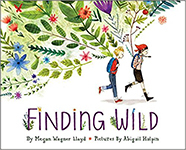 Many ideas for summer fun for kids and their families in Summer Activities: Nature Activities for Children, by Irmagard Kutsch, Brigitte Walden (illus.). 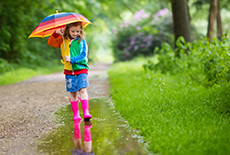 On a rainy day, go outside during or after a rain to listen, smell, touch and see its effects. Ideas from Listen to the Rain, by Bill Martin Jr. and John Archambault. If it is raining, would you describe it as soft and slow, roaring and pouring, hurly-burly, topsy-turvy, ligihtning-flashing, thunder clapping, sounding pounding roaring or dripping. Can you see raindrops of different sizes? Can you find any animals moving during or after a rain? Which ones? Which plants still hold some rain drops in certain places? Where? What can you smell after a rain?